We decided to throw a little get together for some of our friends to watch one of our favorite shows and wanted to have dinner to go along with it. We have a group text that has been ongoing for about a year+ so we just chat back and forth whenever our friends have questions, comments, something to share etc. Since we knew everyone was coming over, we texted everyone and asked them to vote. 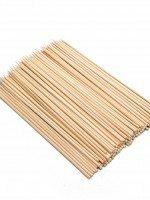 Rice vs Tofu? Ready… GO! Rice won over tofu by a landslide among our friends; so we decide to create a rice inspired dish with Soy Vay Veri Veri Teriyaki sauce! Soy Vay is launching a battle of the blands: Team Rice vs. Team Tofu. The competition is for people to vote if they prefer rice (Team Rice) or Tofu (Team Tofu) when enjoying a meal. 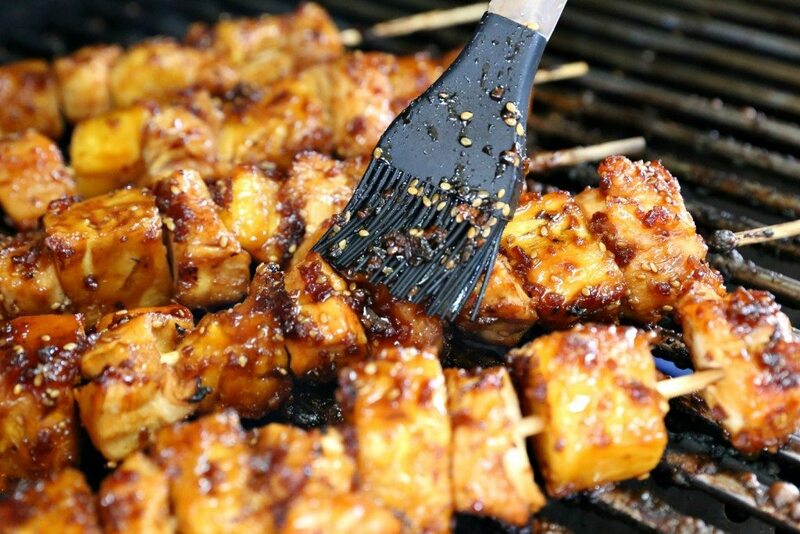 Truthfully, we’ve always been “Team Rice” but tofu can be super tasty too! Be sure to go and check out the different videos for the two different blands and vote for what “team” you are on here. 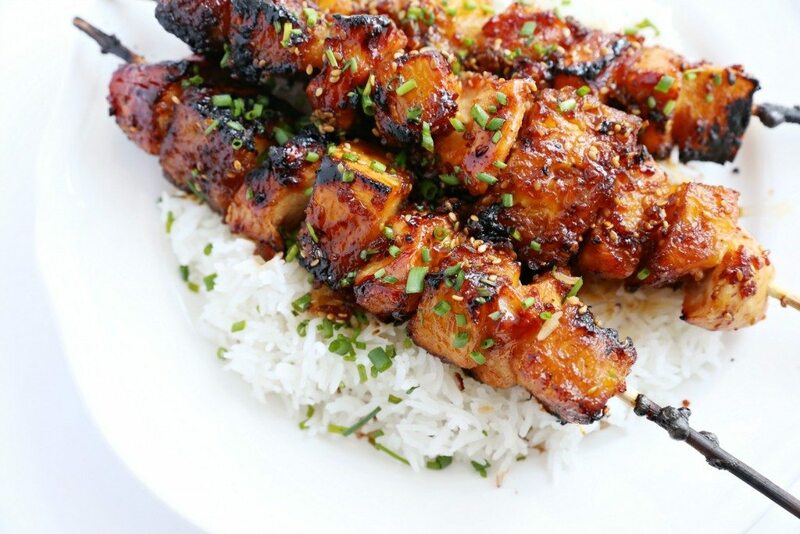 After watching the videos and sticking to my guns with “Team Rice”, I felt inspired to make this recipe using rice and my new favorite teriyaki marinade and sauce. 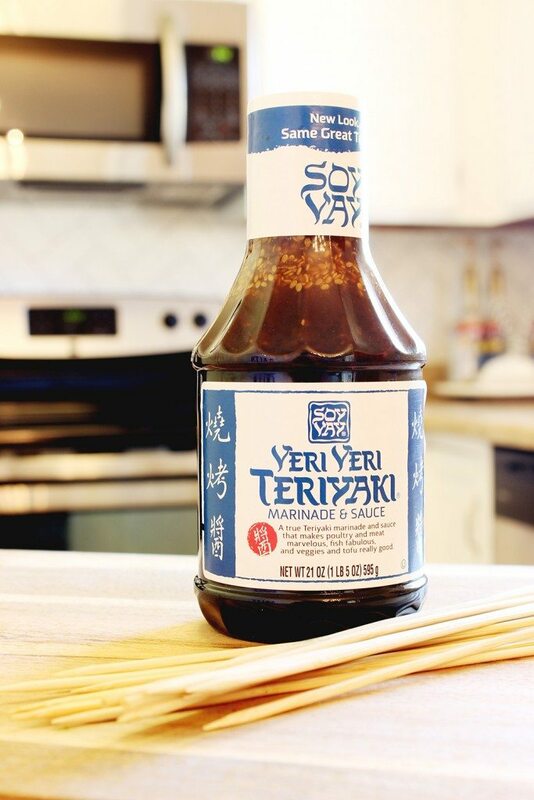 My new favorite marinade and sauce is the Soy Vay® Veri Veri Teryiaki®! 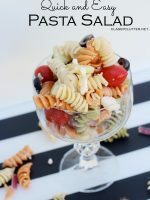 I love how easy and simple this dinner was to make and it tasted amazing! 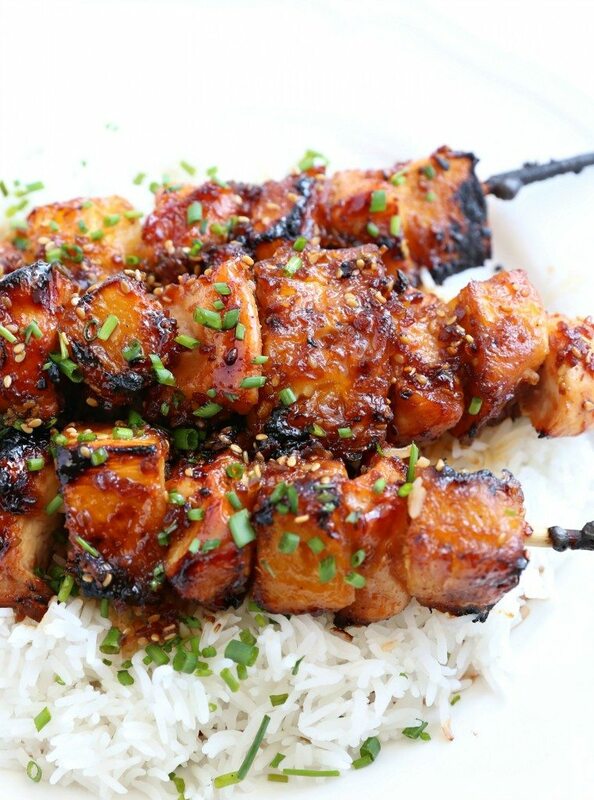 Soy Vay is all about unlocking the awesome – so I decided to create these Easy Teriyaki Chicken Skewers in support of my favorite bland, rice! 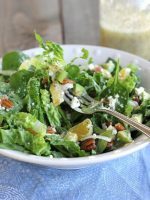 This is what you need to make this easy dinner that everyone will love. Cut the chicken into cubes. 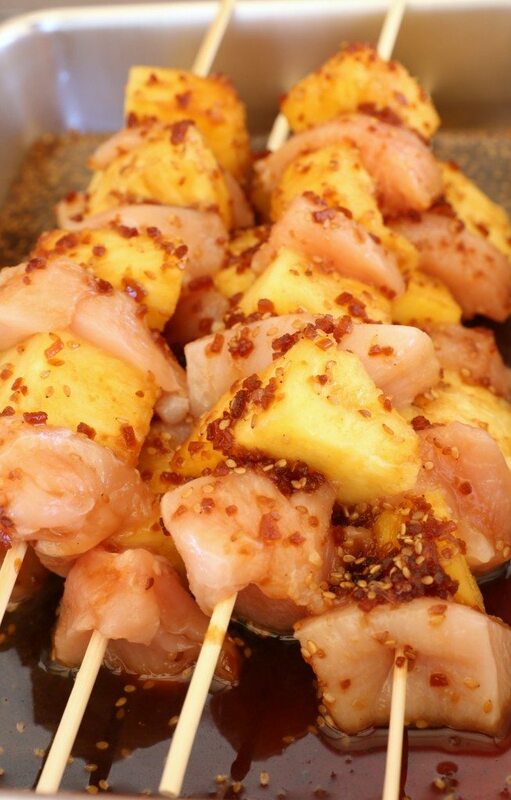 Put the pineapple and chicken onto the wooden skewers. Brush the sauce onto the chicken and the pineapple. 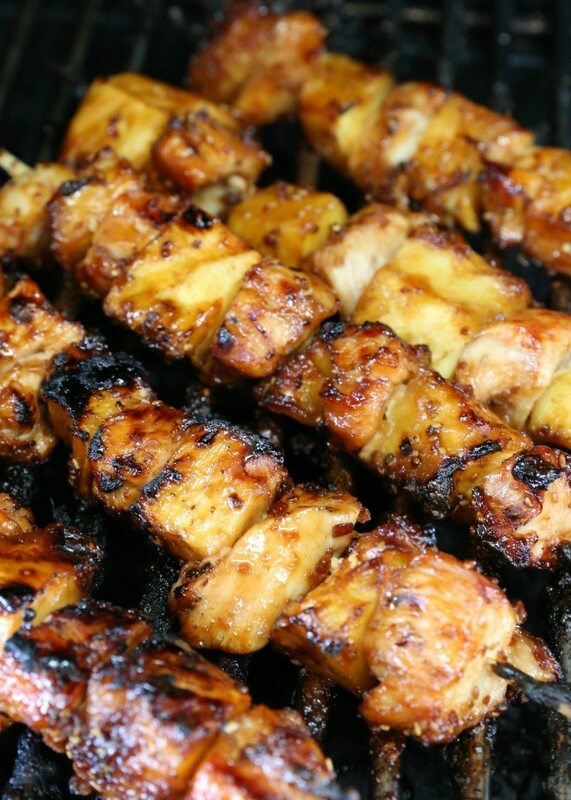 Place the kabob on the grill, using a basting brush add more sauce onto the chicken and pineapple. Cook until the chicken is fully cooked. I turned the kabob a few times to make sure the chicken was fully cooked. 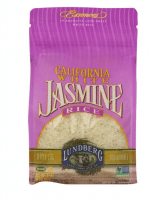 Serve the kabob over a bed of rice and ENJOY! I love how the chicken and pineapple were so moist and the sauce was AMAZING! 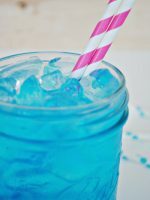 I am excited to try other recipes that are on the Soy Vay website. Whether you are team tofu or team rice be sure to check out the competition and see the videos and vote on your favorite, it’s so easy. 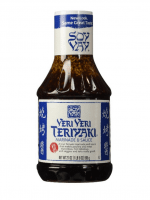 Try out the Soy Vay’s sauce, you will love it! This is a sponsored conversation written by me on behalf of Soy Vay®. The opinions and text are all mine.